Each mailbox is designed with an individual name tab for each slot. 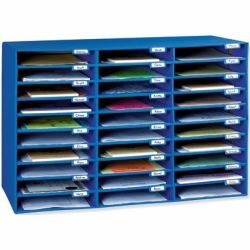 Mix and match the three sizes of mailboxes to get the right number for your class size. 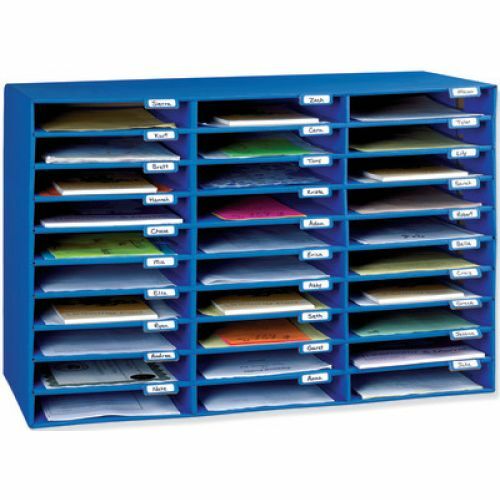 The slot sizes for the 30-Slot Mailbox are 1.75"H x 10"W x 12.5"D. Recycled and recyclable..